Good value for money. Very efficient to use and easy to top up. Convenient and afforbdable. Octupus card bundled with sim card 👍👍👍. Internet signal is very strong, fast and you can even use it at Macau by putting your phone to roaming. You don't need to be in Hong Kong for too long to notice the locals beeping their way through MTR turnstiles and supermarket checkout counters with their Octopus cards. 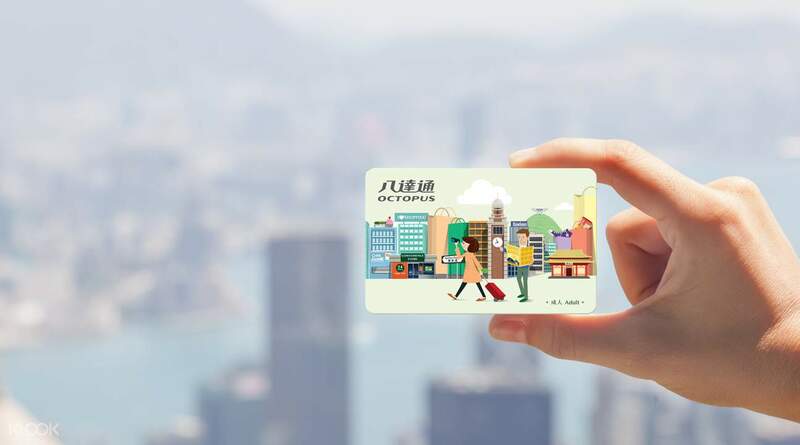 The Hong Kong Octopus card is an extremely versatile stored-value electronic card that can be used on most forms of public transport, as well as for purchases in convenience stores, fast food shops, supermarkets, vending machines and more. Pick up your card conveniently at Hong Kong International Airport upon landing. 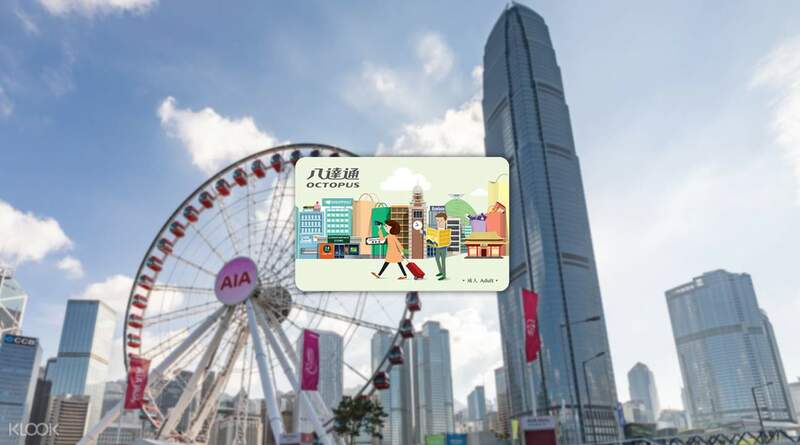 Coming preloaded with a deposit of HKD50/100, this Hong Kong Octopus card is the ideal accompaniment to your trip to Hong Kong, making traveling and everyday purchases hassle-free and convenient. If it ever runs low on value, you can top up at thousands of stores in Hong Kong. What's more, your Octopus card has an iconic Hong Kong design on its cover, making it an ideal souvenir that can be used again when you come back! the octopus card is very helpful, there are discounts from mtr and busses, it is very easy to use. you can top up or the card at any 7/11 stores. you can also use it on other stores if for some purchases. you can redeem it at the airport at a13 and use it right away. the octopus card is very helpful, there are discounts from mtr and busses, it is very easy to use. you can top up or the card at any 7/11 stores. you can also use it on other stores if for some purchases. you can redeem it at the airport at a13 and use it right away. it wss easy to claim this one. it is a must have because we were able to use it as soon as we ride the bus from the airport to the city! convenience in just one tap! very easy to use also when buying in convenience stores. reloading is also not a problem. thank you klook! ps: thanks to this, we were able to go to the places below smoothly. it wss easy to claim this one. it is a must have because we were able to use it as soon as we ride the bus from the airport to the city! convenience in just one tap! very easy to use also when buying in convenience stores. reloading is also not a problem. thank you klook! ps: thanks to this, we were able to go to the places below smoothly. I booked for an octopus card 2 weeks prior to our trip to Hongkong without hesitations.I paid for 11 sets of Octopus card and claimed it at the airport upon our arrival.And violaa!! !we enjoyed it,we used it for our MTR rides,7/11 purchases and other convinience stores.Definitely we'll book again coz we're now planning for our next out of the country trip. Till next Klook!! I booked for an octopus card 2 weeks prior to our trip to Hongkong without hesitations.I paid for 11 sets of Octopus card and claimed it at the airport upon our arrival.And violaa!! !we enjoyed it,we used it for our MTR rides,7/11 purchases and other convinience stores.Definitely we'll book again coz we're now planning for our next out of the country trip. Till next Klook!! Redeeming process at the Airports Arrival Hall was so easy, present voucher printed or mobile then you're good to go. Octopus card was so convenient, with the Bus and MTR, you can even use it to buy at stores. We used it to almost every location in our itinerary. Just don't forget to reload. Redeeming process at the Airports Arrival Hall was so easy, present voucher printed or mobile then you're good to go. Octopus card was so convenient, with the Bus and MTR, you can even use it to buy at stores. We used it to almost every location in our itinerary. Just don't forget to reload. Purchasing hongkong octopus card via klook was very convenient. You can claim it right away at the arrivals hall A13. No hassle and all! Plus the card was given back to us as a souvenir after refunding us the balance. Octopus card is a must carry card in Hong Kong coz u can pay it almost everywhere such as transpo and food. The card was very easy to reload. In our pics we used in on the bus, mcdonalds, mtr, 7 eleven and the vending machine. Purchasing hongkong octopus card via klook was very convenient. You can claim it right away at the arrivals hall A13. No hassle and all! Plus the card was given back to us as a souvenir after refunding us the balance. Octopus card is a must carry card in Hong Kong coz u can pay it almost everywhere such as transpo and food. The card was very easy to reload. In our pics we used in on the bus, mcdonalds, mtr, 7 eleven and the vending machine. this octopus card is a must redeem this to aorport counter and there is a pre loaded of 50 hk dollars where you can use to pay for your train rides without any hassle and you can pay to stores like 7-eleven. You will save time and money also! this octopus card is a must redeem this to aorport counter and there is a pre loaded of 50 hk dollars where you can use to pay for your train rides without any hassle and you can pay to stores like 7-eleven. You will save time and money also! Having purchased one, in fact 2, cards from Klook made our trip to Hongkong easier. One tap and your in for a ride at their MTR and another tap for your exit.Same goes when you are to ride their city bus; 1 tap and you are good to go. No hassle and is good as 123. If you want to grab your snacks or buy your 'pasalubong'you can definitely use your Octopus card to pay for them; no cash, no problem as long as you have available cash balance in it. I hope soon they will also include octopus cards for children. Overall, thumbs up to Klook! Having purchased one, in fact 2, cards from Klook made our trip to Hongkong easier. One tap and your in for a ride at their MTR and another tap for your exit.Same goes when you are to ride their city bus; 1 tap and you are good to go. No hassle and is good as 123. If you want to grab your snacks or buy your 'pasalubong'you can definitely use your Octopus card to pay for them; no cash, no problem as long as you have available cash balance in it. I hope soon they will also include octopus cards for children. Overall, thumbs up to Klook!